Our company is constantly finding potential growth opportunities by adding more professionals into our team. To submit your application, please use the online form below. Qualified applicants will be called in for an interview. 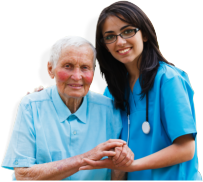 We appreciate your interest in joining our team at New Life Home Health Care LLC.